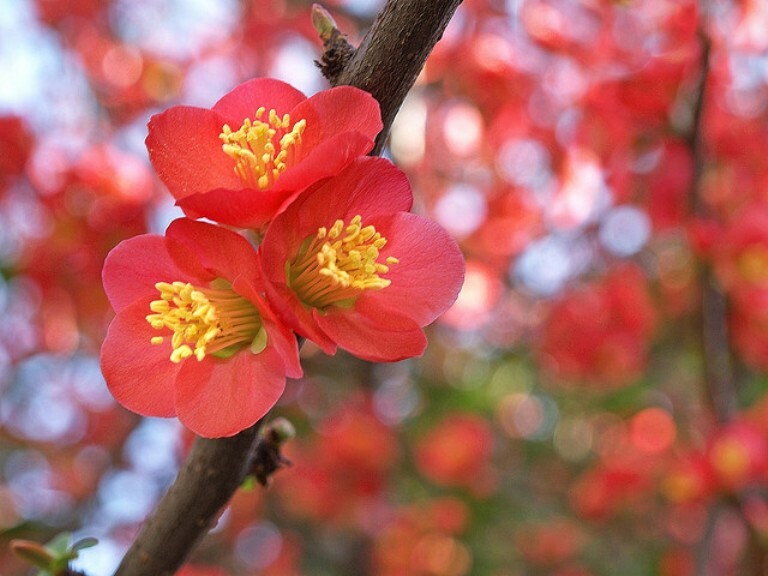 Garden Flowers: The Japanese Quince – thorny but beautiful! March sees the official start of spring and although the early focus in the garden is on the appearance of bulbs, there are other plants that really shine at this time of year. 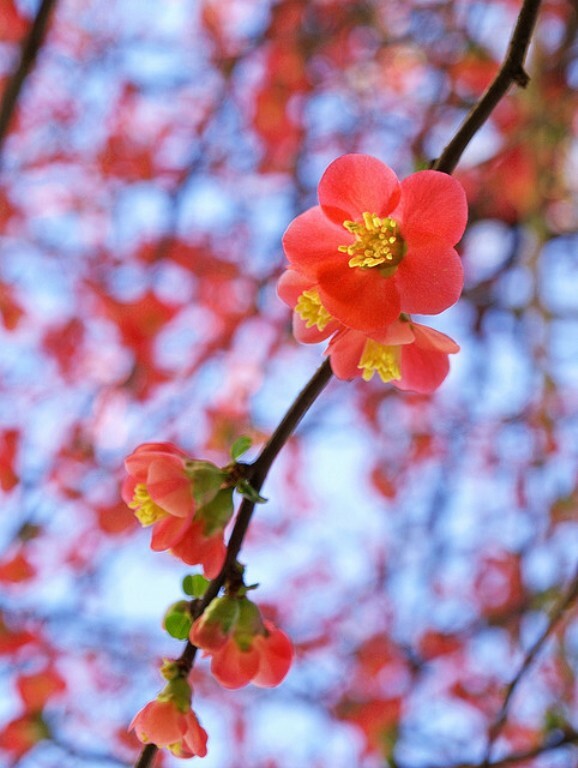 This month, the feature of the Garden Flowers blog post, which I write with Rona Wheeldon of Flowerona, is the Japanese Quince, also known as Chaenomeles or Flowering Quince. It’s a colourful shrub which can add colour to your garden and the cut stems also look great in your home. 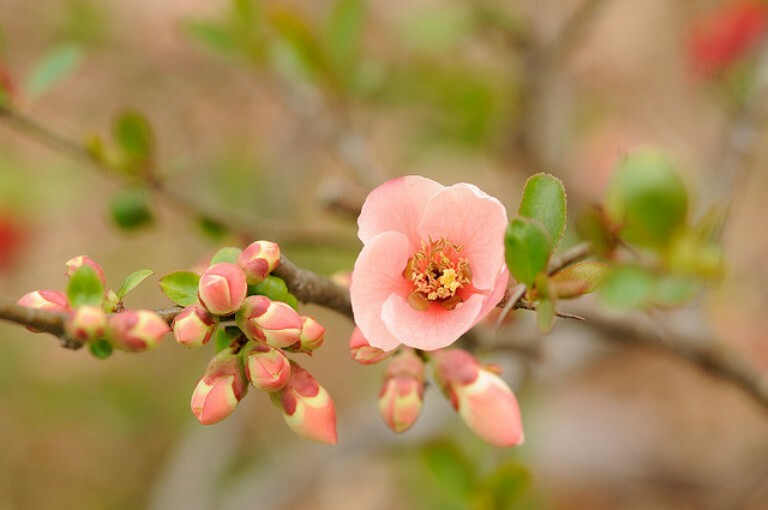 Chaenomeles are bushy deciduous shrubs that tolerate the worst garden soils, even those that dry out completely in the summer. They don’t mind exposed windy sites either, in fact they’re happy anywhere really as long as they get a bit of sun throughout the day and they look particularly great planted against a wall in a position where the sun catches the flowers. Being a thorny plant, they can be somewhat unfriendly towards the unsuspecting gardener, but the bright cheery flowers that appear in spring somehow make up for it. In fact, they can be quite useful plants for a front garden or on boundaries if security might be an issue! 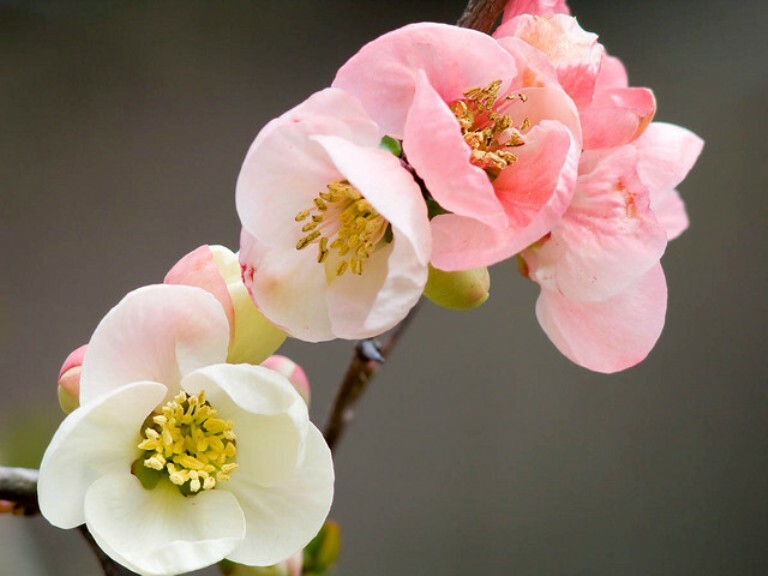 Flower colours range from white to salmon pink to scarlet and they emerge on the bare woody stems from early spring. 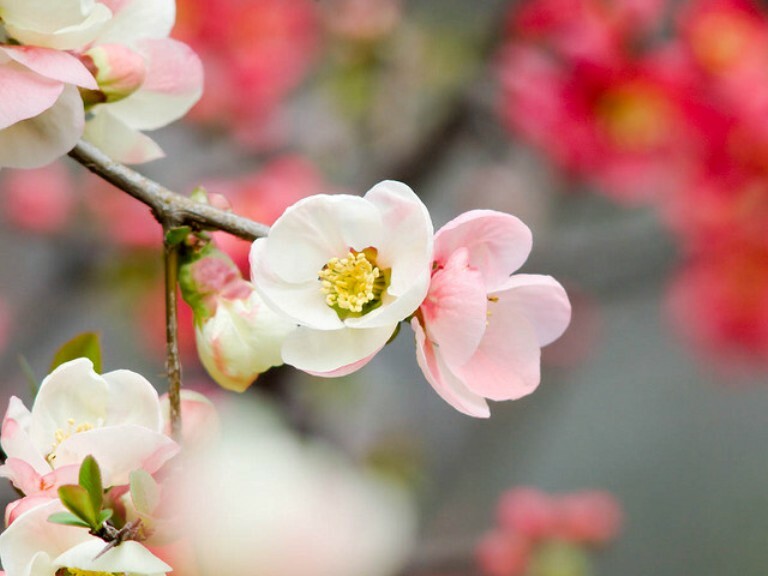 The blooms are followed by fragrant fruits which last well into the winter. Annual pruning really helps to prolong the flowering period from year to year and they should be cut back immediately after flowering. This will allow the maximum time for the development of new growth which will provide the following year’s flowers. I have a gorgeous red flowering ‘ornamental’ quince in my garden. I wonder, do you know if the fruits are edible? Yes I have one of those too! As far as I know, you can eat the fruits if they are cooked – they make excellent jam and marmalade due to the high content of pectin. Glad you’ve found me and hope you enjoy reading my blog…I work with Flourish a lot, they’re brilliant!